The following brief article was written by James Creedon and appeared in an editon of the Brockton Enterprise in early January, 1904. 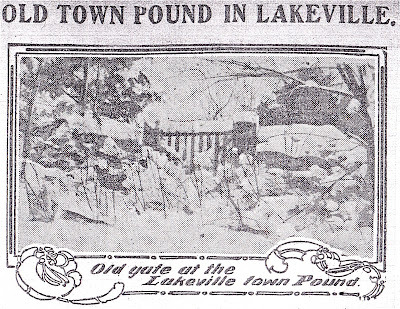 It tells the tell of the remaining town pound which was situated on Highland Road near Shockley Hill and was built probably about the time Lakeville was incorporated as a separate town. A town pound was once a common sight in the towns about Middleboro, but today few are left. One of these is located in Lakeville, not a great distance from Shockleys hill. It was built about 1853. 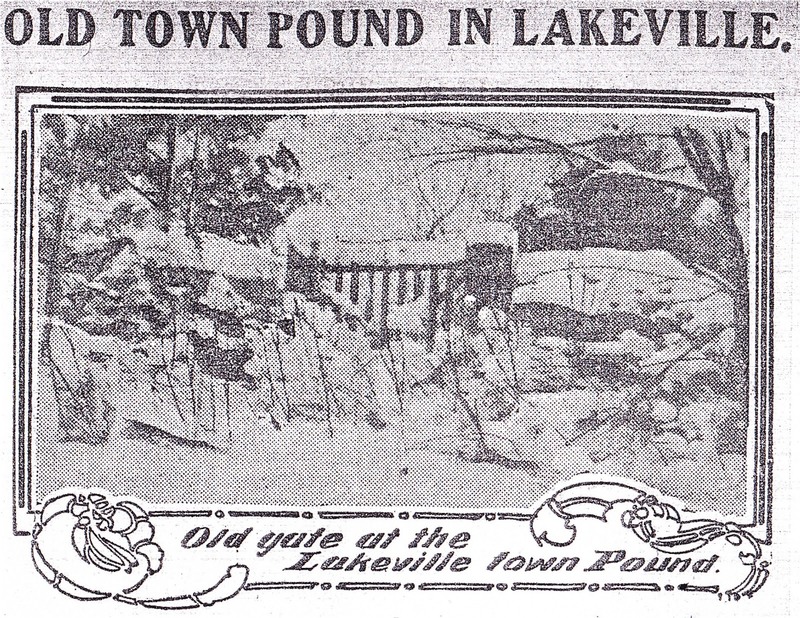 The pound is by the side of the road and comprises a lot about 25 feet square, surrounded by a stone wall about five feet high. A wooden gate closes a five-foot opening at the front of the inclosure. In the early days of the town cattle were allowed to run freely along the roads, and frequently they strolled on another man's land. If the cattle belonged to a friendly neighbor it was usually all right, but if there happened to be bad feeling between the men, a field driver was summoned, and the animals were taken to the pound. There they were placed in charge of the poundkeeper, who fed and cared for them. The owner of the cattle was notified, and when he appeared for them he had to pay 50 cents per head and expenses. The first pound keeper was Abram Shaw. He was in charge for several years. He was followed by John Shaw who continued as keeper as long a the pound was in use. The oldest field driver now living is John Townsend, who resides near the Bell schoolhouse. Townsend resided on Lakeside Avenue.